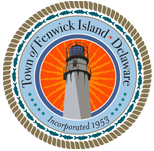 Town management over the years has produced informative rack cards to educate residents and visitors concerning specific issues and topics. Below are four rack cards summarizing parking permits, general information, no smoking and voter information. Feel free to download.